Carlos Ghosn sought and failed to join a board meeting at Nissan that could change the course of its three-way alliance with Renault and Mitsubishi Motors. 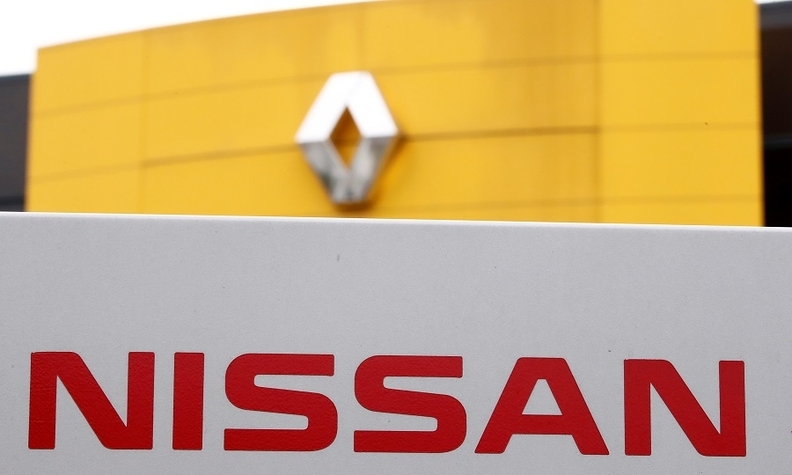 The automakers are planning to form a single board for the alliance that will oversee its governance and operations, Renault said in a statement Monday. As architect of the structure and former chairman of all three companies, Ghosn was seeking to join Nissan’s meeting Tuesday to explain himself personally to fellow directors. The decision prevented what would have been a dramatic face-off between Ghosn and the colleagues he has accused of fomenting a coup. Some Nissan executives had been unhappy with Ghosn's push for a deeper tie-up with Renault, including possibly a full merger. If Ghosn's request had been approved, he would have been expected to dial into the meeting via teleconference, given the conditions of his bail, according to a person familiar with Nissan's thinking. Ghosn's attorneys may appeal the court decision, his lead lawyer, Junichiro Hironaka, said, adding that Nissan had strongly opposed his attendance. Renault said the new body will have no impact on the existence of the RAMA (Restated Alliance Master Agreement) and the alliance's cross-shareholding structure. The group will replace two separate Amsterdam-based alliance entities, Renault-Nissan BV and Nissan-Mitsubishi BV, people familiar with the matter said, asking not to be identified because the information is not yet public. Nissan's board plan to meet to discuss the matter as soon as Tuesday and an announcement could be made shortly after, the people said. Renault Chairman Jean-Dominique Senard will probably chair the new committee, one of the people said. The plan is aimed at fostering more balanced decision-making represented by Senard, Nissan CEO Hiroto Saikawa and Mitsubishi Motors CEO Osamu Masuko. The current structure is seen as outdated and obscure in its functions, with the automaker's own investigations having found that former Chairman Ghosn funneled money from the Dutch units. Ghosn has said the claims of improper payments were a "distortion of reality." Ghosn is keeping a low profile since his release last week on a $9 million bail after more than 100 days in detention in Tokyo. Ghosn faces charges of under-reporting his salary at Nissan by about $82 million over nearly a decade, charges he has called "meritless." With the start of Ghosn’s trial still months away and the drama of his release subsiding, focus is shifting back to the fate of Nissan and how the auto executive will deploy his hard-won freedom, even if under strict bail terms. Japan’s media reported on Ghosn sightings around Tokyo, but he has yet to give an interview or speak directly to the press since his release. Instead, he’s relying on an "All-Star" team of lawyers to communicate with the public as they prepare his defense. "Now that Ghosn’s influential leadership is gone, there’ is a risk that each party will become more sharply focused on their self-interests," said Tatsuo Yoshida, an analyst at Sawakami Asset Management. "They need to have a structure where decisions are made transparently."